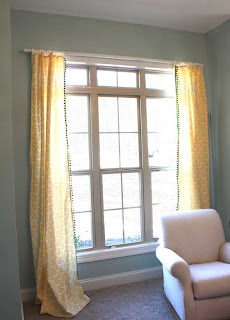 I have gotten tons of emails from readers asking where I got the fabric that I am using for the curtains in our nursery. Usually when I get questions emailed to me I try to respond to everyone individually (even if it takes me forever to get to all the emails- sorry! ), but this time I will just post the information about the fabric again and hope that everyone who wanted to know about it sees this! It is "Madison" by Premier Prints and the color is "Sun". They do offer the pattern in different colors, and they also have the exact pattern in a larger scale (check here and here). 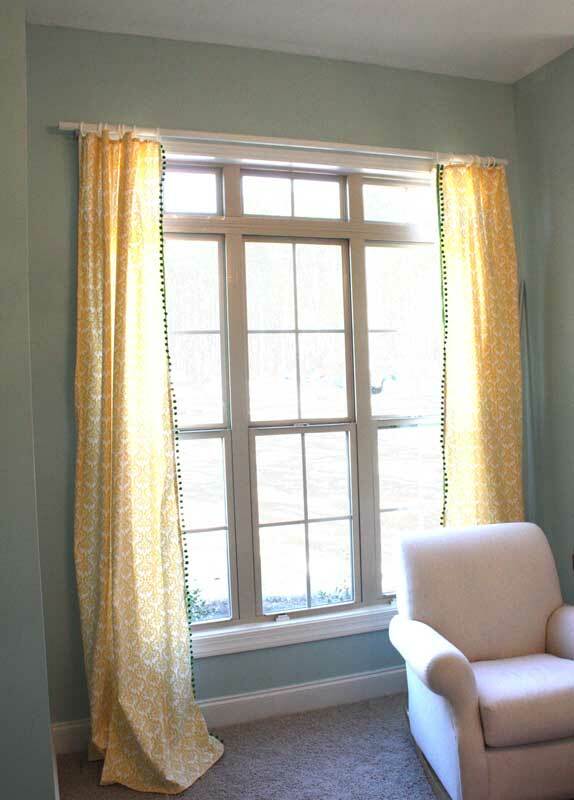 I have used Premier Prints fabrics for several projects around my house (like this, this, this & this) and I really like them for their great patterns and decent prices. Hopefully that answers everyone's questions! such a beautiful color, and not something you see everyday in a nursery. I love that! Very cheery and bright! So pretty & fresh. Thanks for sharing. LOVE the curtains. Yellow is the new black. OR should I say the new turquoise?